A fine hat-trick by striker Naro Hari Shrestha saw Salgaocar FC trounce Dempo SC 4-2 to clinch the GFA U-20 Taca Goa title. The winners led 2-0 at the breather. The win also ensured the Greens remained unbeaten through the campaign and finished on 16 points from a possible 18, with 5 consecutive wins after a draw on the opening day. Salgaocar set out in right earnest, despite knowing that a draw would land them the title. They used the wings to excellent effect, to exploit the Dempo defence. Harmanjot Singh on the right in particular was full of running and had an outstanding game. Salgaocar did create a few opportunities early on with Naro Hari missing a regulation headed and a one-on-one with the keeper. The striker did however make amends in the 25th minute when captain Godfrey Mascarenhas played a beautiful long ball over the defense for Myron Borges to latch on to. The latter squared to Naro for the simplest of tap ins to hand the Greens the lead. 10 minutes later Salgaocar doubled their advantage when Harmanjot sent an inch perfect cross from the right for Naro to bury with a fine header. The Greens did create a few more chances in the half but Alison Fernandes in the Dempo goal ensured there was no further damage done with some fine saves. Changing over ends, the game was essentially killed as a contest as early as the 46th minute when first Stefen Fernandes and later Naro Hari found the back of the net with fine strikes from outside the box. Naro thus scored his hat-trick within a week, having found the back of the net thrice against Goa Velha only a couple of days ago. Dempo did try clawing their way back into the game and started attacking with more purpose and intent. They were awarded a penalty in the 54th minute when Ronil was brought down by keeper Rohan Viegas. Vineet who stepped up sent the keeper the wrong way to score Dempo’s first of the evening. In the 69th minute, Dempo pulled back another when Valerio Palha found the top corner from inside the box. Salgaocar could have scored shortly thereafter, but Harmanjot sent the ball wide after the ball landed at his feet from a miskick from substitute Goal keeper, Frazer Afonso. The Greens continued pressing and Stefen’s shot was brilliantly saved by the keeper and Myron sent his header over the bar off a fine cross from the right. 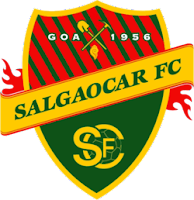 In the 82nd minute, Salgaocar were reduced to 10 men as Myron Borges received his second booking of the evening for dissent. Although the game did turn ugly in the last few minutes with rash tackles flying in, The Greens held on to secure a fine win and the trophy, the 4th by the club’s juniors, with the U-14, U-18 and GFA Third Division (U-19) having been secured earlier.